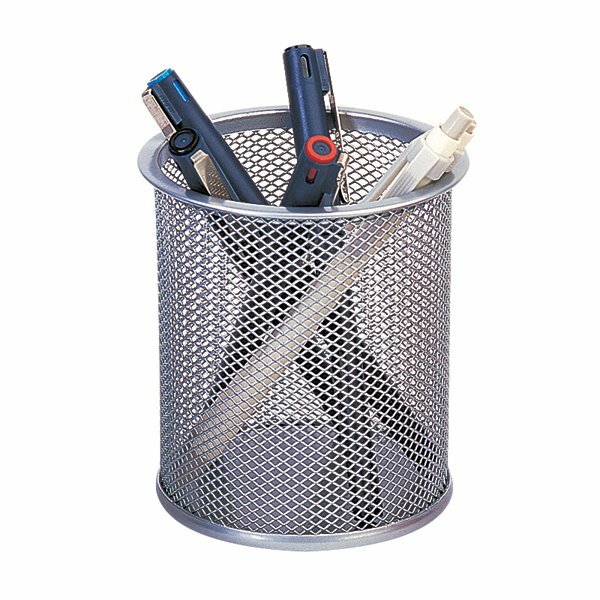 Keep your desktop or workspace organised and tidy with this Q-Connect Mesh Pen Pot. Store pens, pencils, highlighters, rulers and more in easy reach for quick access. The silver pen pot has a durable mesh construction and measures W86 x D86 x H105mm.